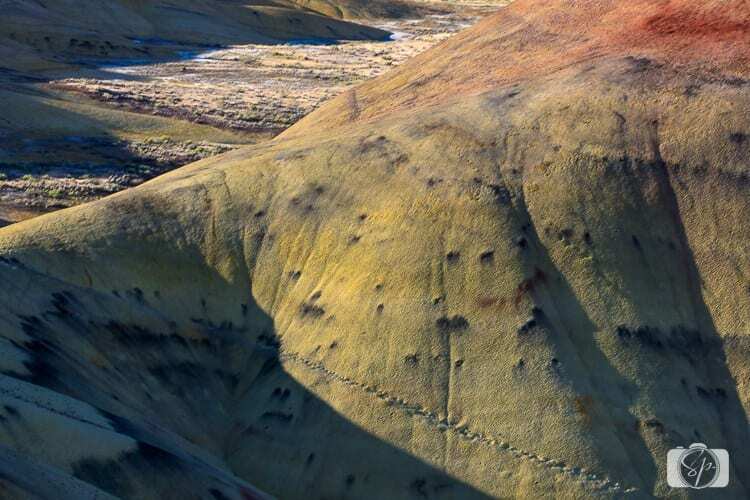 If you find yourself driving in Central Oregon, perhaps between Boise and Bend, make sure you hit the Painted Hills. They are one of three parts (referred to as units) of the John Day Fossil National Monument. You can do the Painted Hills in a half day and it’s totally worth the detour. We stayed five days in the area and explored all three units of the park. We preferred the Painted Hills and went back to them several times so Mr. Misadventures could capture them in different light. The best time was right after a storm, something you can’t really plan for, we just got lucky! It’s one of the seven wonders of Oregon. You can see why from the photos. They get their name from the colorful layers that represent various geological eras. They are also extremely fragile and require protection from careless visitors. Footsteps and tracks scar these beautiful mounds, the effects of which last for years. These footsteps will take a long time to disappear which ruins it for others. 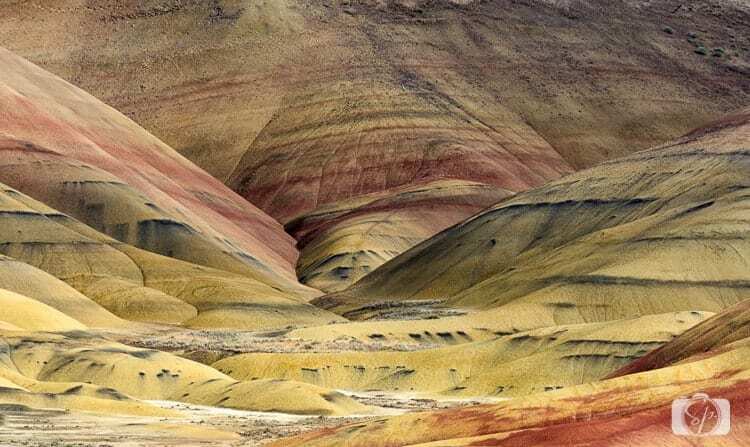 Oregon’s Painted Hills are beautiful. Definitely worth a visit. If you have time, you should hike the Carroll Rim Trail, it is supposed to give you a fantastic overlook of all the hills. I had a hurt foot so was unable to do the climb. Because of their size, the best photos are panoramic and Mr. Misadventures took some real beauties which are on his website. How about you? 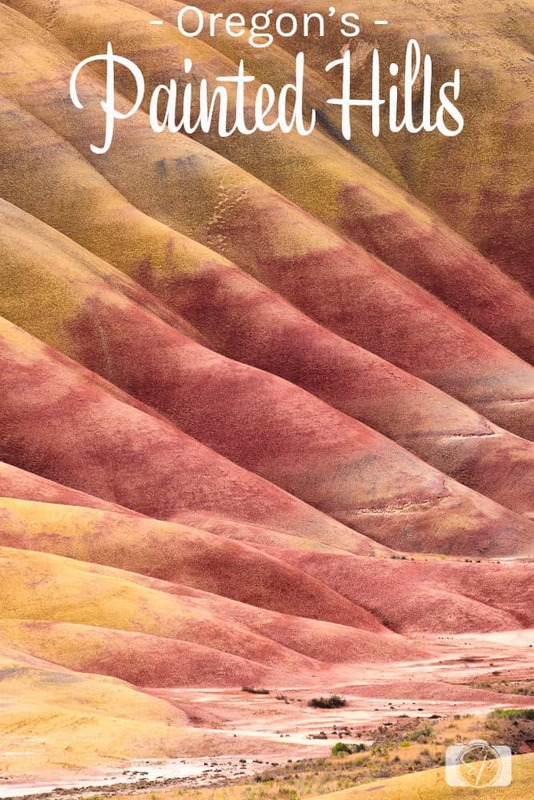 Have you visited these Painted Hills? 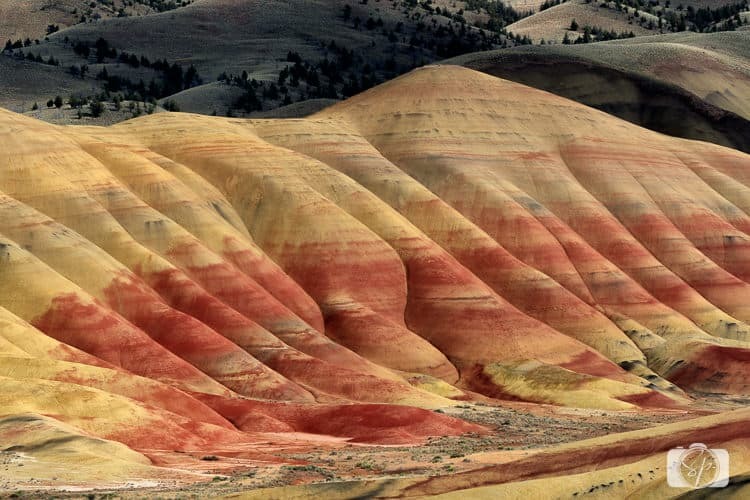 How about other Painted Hills in the U.S. (or beyond)? Oh wow. This is so pretty. I hope I have the chance to see those hills one day. Thank you! This place is a lifesize artwork. thank you for sharing! I’ve been meaning to take a road trip down to Oregon. I really want to go to Feast Portland and this would be a lovely detour to take! I am planning on visiting my daughter who lives in Oregon maybe I will visit here as well. wow this is breathtaking! i am going to be sure to stop here when i plan my trip to oregon. I’ve always wanted to see these in person. They look so beautiful in pictures.